Comfortable. Refreshing. Unique. 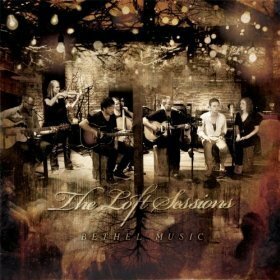 These are three words that describe Bethel Music’s album The Loft Sessions. With accessible songs that are creative and thoughtful, The Loft Sessions is a welcomed departure from the commonplace, over-produced albums so common nowadays. There are so many musical textures in this album that can’t go unnoticed: the multiple harmonies, interesting use of percussion, hand-clapping, and acoustic guitars. At first glance this album might appear to have a simplistic approach, but it’s quite the opposite. Lyrically and vocally this album is one of the strongest I’ve heard in a while. While it’s creative and refreshing, this probably isn’t an album belonging in most church’s worship sets. However, these could be great in a larger acoustic set on a special Sunday morning. For personal worship, this album is very refreshing and inspiring. This album is sure to be in constant rotation in my car and office as I work. For those who favor high-energy music, this album can be a welcomed departure when you need chill out. Purchase this album pronto. Then write me a “thank you” note and send it with a personal check. “One Thing Remains” – One of the easier songs on the album and congregation-friendly. “My Dear” – lyrically and melodically catchy. Also, who doesn’t love a banjo? “You Have Won Me” – easy lyrics and melody to sing. Rest assured you’ll get some toe tapping and some heads nodding in time. 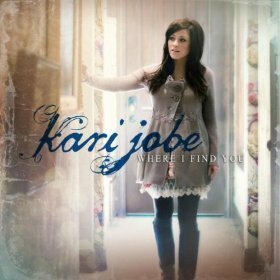 It’s been several years since Kari Jobe’s self-titled debut solo album. But for those who’ve been waiting, you won’t be disappointed. Where I Find You is very well produced. It’s a great melodic soundscape due to tasteful string and piano arrangements. This album seems like it was written and produced with two purposes in mind: radio play and use for worship in local churches. There is no doubt that songs from this album will find their way onto Christian radio stations. Though the congregational-friendly “We Are” was the first single released, I’d expect “Steady my Heart” to find it’s way onto the airwaves in a very short time. On the worship side, the songs “Savior’s Here” and “Rise” would be great songs to introduce to a congregation–especially if you have some strong female vocalist in your worship band(s). Where I Find You has a great message of hope, that God has us in mind and will take care of us. Overall, I imagine most people will be listening to this album on their iPods or in their cars for personal worship time. Most of these probably won’t find their way into Sunday morning worship sets. “We Are” – great song about who the Church is and who we belong to. “Savior’s Here” – easy lyrics to sing. The acoustic arrangement has a good feel and it can be a welcomed change if you’re usually highly “electric” in your sets. “Rise” – a song about God’s majesty and goodness. The chorus is lifting and easy to sing along with. Jason Ingram and Paul Mabury produced an album with great layers of guitar and production value. But as a worship leader, I found myself wondering how many of these songs would actually work in the context of my church. 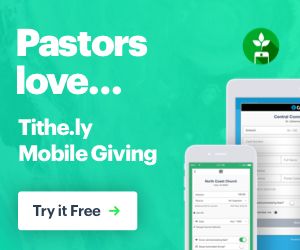 I found it appealing to hear some layered “choir-like” background vocals (and even resourceful in what the congregation might sound like singing some of these catchy choruses). But I heard that same thing one too many times. Though I didn’t find too much of a variation from song to song, there were definitely enough songs from this album to consider adding into your current rotation of Sunday morning worship songs. 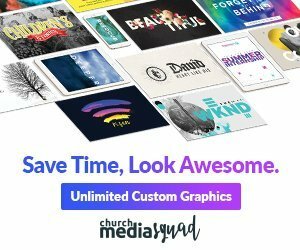 “Beautiful Savior” – Easy lyrics to learn. It has chorus lyrics that you can shout out or sing with your eyes closed…always a win. 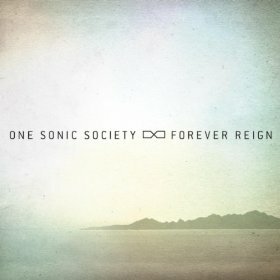 “Forever Reign” – classic Hillsong. This has great lyrics and song-structure, which means happy musicians and congregation. There’s a first time for everything. 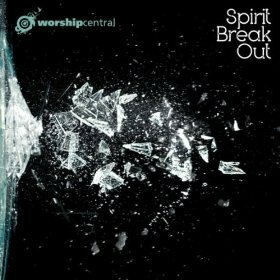 And London-based worship school, Worship Central, first release, they hit it out of the park. The album, Spirit Break Out, features songs from Tim Hughes, Ben Cantelon and others. The album is primarily themed around the Holy Spirit giving us freedom and life, while also showing the majesty and grace of our Savior. Musically, this album more-than delivers. Of course, I’m not sure what else one would expect from a worship school full of musicians and songwriters. Melodic guitar riffs, great programming and sequencing (on songs like “At Your Name”), and some unique drumming are just a few examples of the quality musicianship. Of the 14 tracks on Spirit Break Out, there are many songs that work in a congregational setting. “New Day” is great as an up beat, pump your fist in the air (in reverence to God of course), song. “Savior of the World” is a new arrangement of a great Ben Cantelon song that also works well as a worship set opener. On the slower and softer side of things, “Wait for You” is a great song as a prayer of surrender. It could be used well in a worship setting. In summary, pick this album up today and you won’t be disappointed. Worship Central has done a great job with this live album and I look forward to seeing and hearing more from them in the future. “New Day” – upbeat, rocking guitar riffs and an easy melody for the average person to catch on to. “Savior of the World” – great lyrics and powerful message. This song would be great to think about for your Easter services. 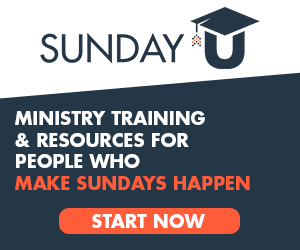 “Wait for You” – a prayer of surrender. If you have a strong female lead vocalist this song will work for you. Brennan is Worship/Creative Arts Pastor at New Life Christian Church. He's a proponent of creatives being more productive and the Church worshiping better. Follow him at brennanloveless.com.